Al-Qaeda leader Ayman al-Zawahiri has released a video coinciding with the anniversary of the September 11 attacks, confirming for the first time the death of his deputy, US monitors said. The 42-minute video is Zawahiri’s first release in three months, and confirms that Abu Yahya al-Libi was killed in a drone strike in Pakistan’s Waziristan tribal area on June 4, according to SITE and IntelCenter. Libi was considered Al-Qaeda’s global propaganda mastermind and his death dealt the biggest blow to the group since the killing of Osama bin Laden by US special forces in May 2011. The video was posted on jihadist forums on Monday, the US monitors said, and the translated text does not directly address the 9/11 anniversary. Zawahiri does single out US President Barack Obama for being a “liar” who was elected to “trick” Muslims around the world, but who nevertheless is “being defeated in Afghanistan”. He also mentions Warren Weinstein, an elderly US aid worker kidnapped in Pakistan by Al-Qaeda just over a year ago, vowing to keep him in captivity until US-led forces release Qaeda followers held in Afghanistan. Entitled “The Lion of Knowledge and Jihad: Martyrdom of al-Sheikh Abu Yahya al-Libi”, the video is Zawahiri’s 13th statement in 2012. His videos are often released in Urdu and Pashto. A jihadist theologian who rose to prominence in 2005 when he escaped US custody in Afghanistan, Libi became a major motivational figure for Al-Qaeda followers. 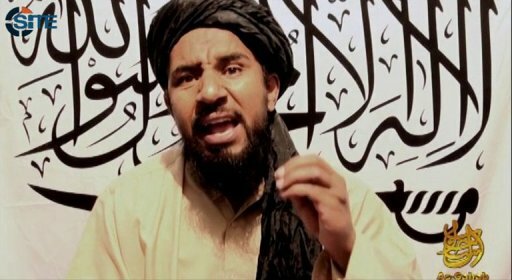 A video featuring him was released by Al-Qaeda a week after his death.